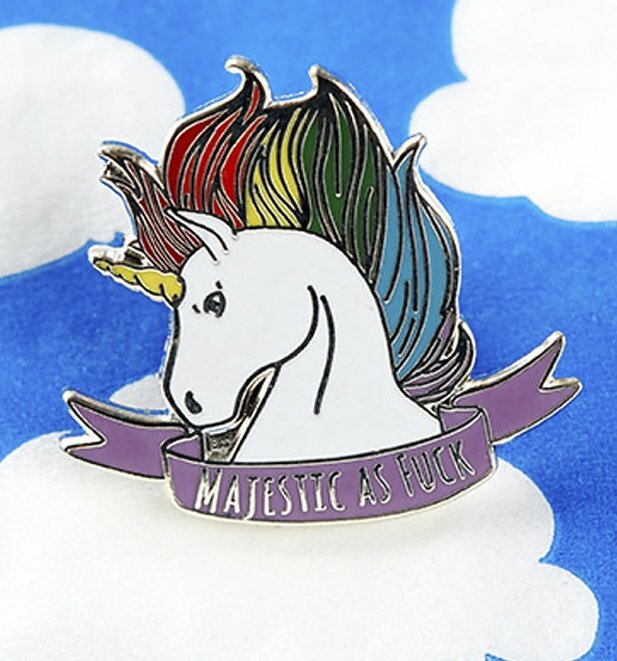 Show your belief and appreciation for unicorns with the help of this super cool pin. 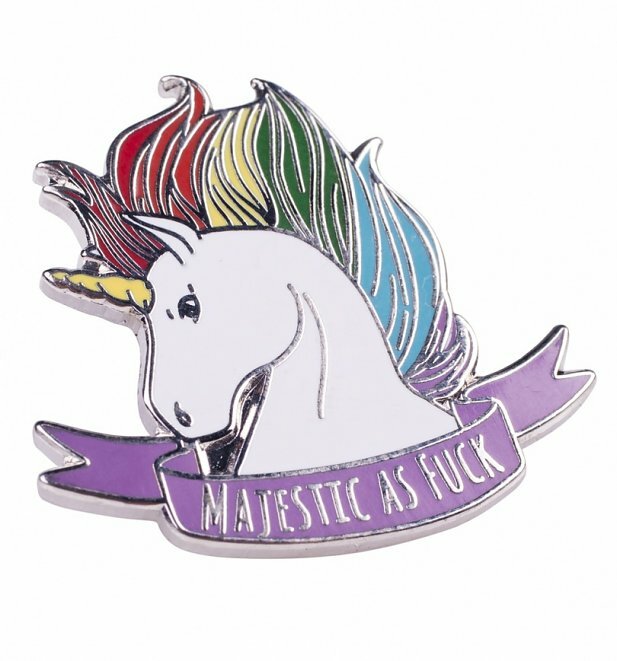 Review: It is a really nice pin, but beware the swear word is fully spelt out, I thought it would have some asterisks or something, so that was a bit of a surprise. 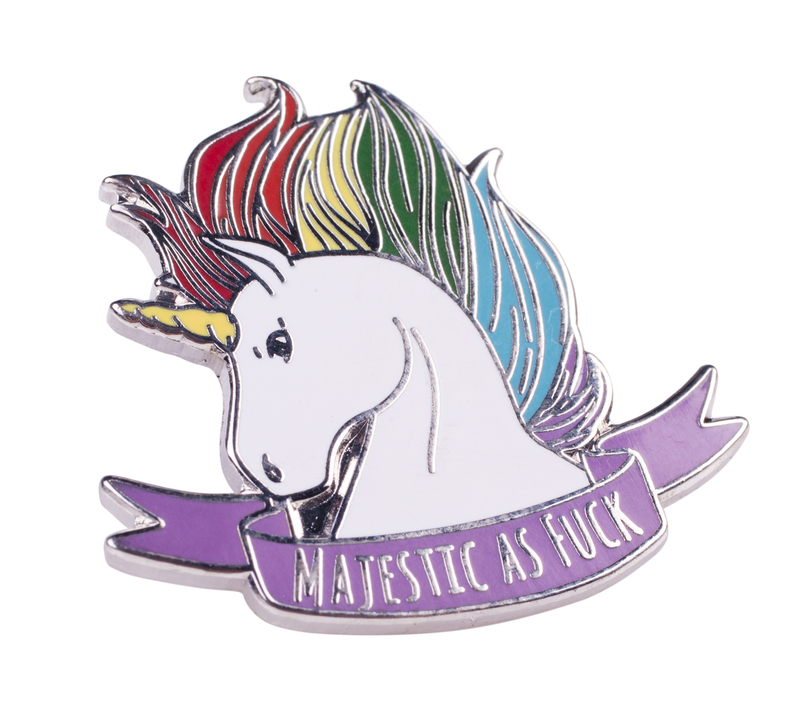 24569Majestic As F*** Unicorn Enamel Pin from Punky Pinshttps://www.truffleshuffle.co.uk/product_images/TS_Majestic_As_F_Unicorn_Enamel_Pin_from_Punky_Pins_5_99_Creative.jpg6.99GBPInStockGBP/women/accessories/everything-else/accessories/jewellery-and-watches/brooches-badges-and-pins/accessories/jewellery-and-watches/punky-pins/unicorns/kawaii/gifts-under-106.9900Beautiful and Majestic..as F***!